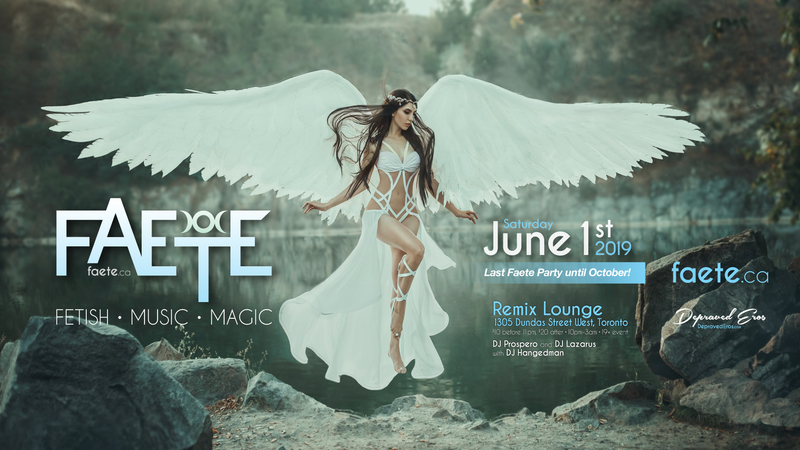 Come out on June 1st, 2019 to Remix Lounge in Toronto and help us celebrate a wildly successful year of Faete Parties. Join us for FAETE: The Winged Ball, a magical night in praise of all creatures with wings: Faeries, Dragons, Angels, Demons and Insects! After this one, our next event isn’t until October 5th, so don’t miss this huge beginning-of-summer party! ($10 before 11pm, $20 after). FAETE is Toronto’s most music-oriented Fetish Dance and Play party. Bring your magical self, and join mythical creatures, witches, faeries, gods and goddesses of all persuasions as we dance and play. We welcome you to our enchanted fetish wonderland! Get emails about our upcoming parties! We won’t spam you and we won’t give your email to anyone else. You can unsubscribe or change your preferences at any time.